An imbalance between lymphocytes and neutrophils may be present in patients infected with HCV who develop HCC. 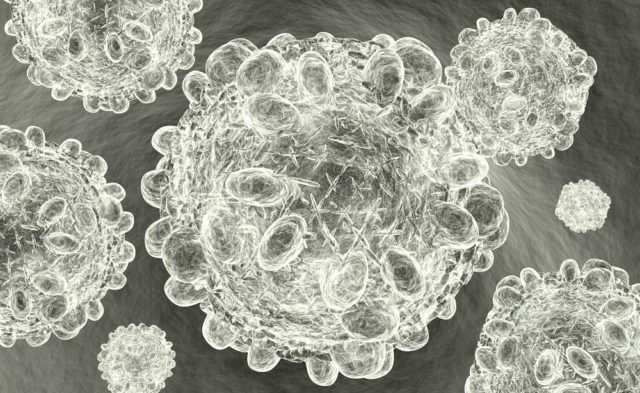 To test this, they used retrospective laboratory data obtained at baseline and at the end of treatment in 308 patients with HCV-related cirrhosis but without previous HCC to determine whether changes in neutrophil and lymphocyte counts during DAA treatment can be associated with the development of HCC. They found that HCC was detected and confirmed in 7.24% (23/308) of patients after a median follow-up of 10.5 months. In patients with HCC development, a significant increase in neutrophils (2.35×109/L±1.02 vs 3.11×109/L±1.26; P =.033) and a decrease in lymphocytes (1.78×109/L±1.07 vs 0.99×109/L±0.53; P =.003) was observed during treatment, whereas in patients without HCC development (n=285), there was a similar trend, but it was not statistically significant (neutrophils: 3.00×109/L±1.26 vs 3.23×109/L±1.41 [P =.08]; lymphocytes: 1.66×109/L±0.86 vs 1.54×109/L±0.85 [P =.14]). Gardini AC, Conti F, Brillanti S, Andreone P, and the members of Bologna DAA group. Imbalance of neutrophils and lymphocyte counts can be predictive of hepatocellular carcinoma occurrence in hepatitis C-related cirrhosis treated with direct-acting antivirals. Gastroenterology. 2018;154(8):2281-2282. Debes JD, van Tilborg M, Groothuismink ZMA, et al. Levels of cytokines in serum associate with development of hepatocellular carcinoma in patients with HCV infection treated with direct-acting antivirals. Gastroenterology. 2018;154(3):515-517.